A "horn knot" is a small piece of equipment used for attaching a rope to a saddle horn. 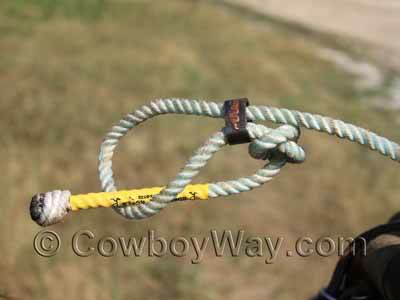 In the text and photos below we'll show you how to put a horn knot on your rope. Below: A metal horn knot. First, tie an overhand knot several inches from the end of the rope (opposite the honda), leaving a tail at the very end. 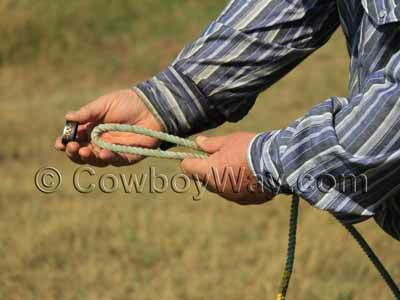 The tail will be helpful when removing the rope and horn knot from the saddle horn after roping. Next, bend the end of the rope back beside itself, forming a loop. 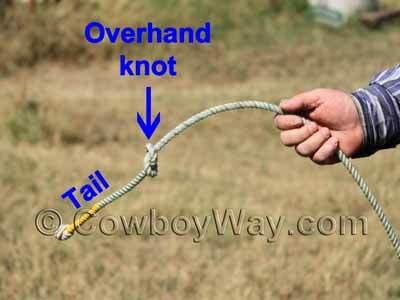 Do this above the overhand knot you just tied. ......and slip it over the end of the loop. 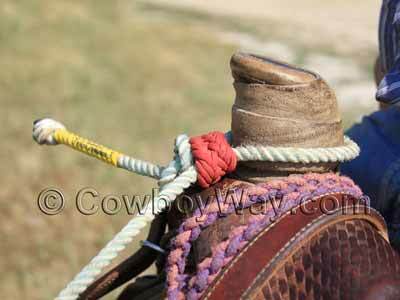 Slide the horn knot down several inches, creating a loop big enough to fit over your saddle horn. 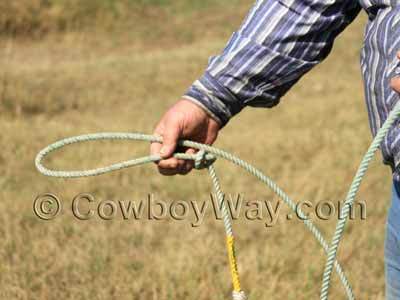 Slip the loop over your saddle horn, pull it tight, and you're done. 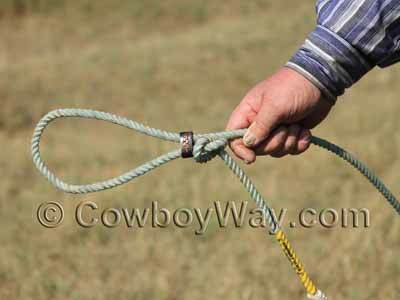 After roping, the horn knot can become very tight against the saddle horn and difficult to remove. 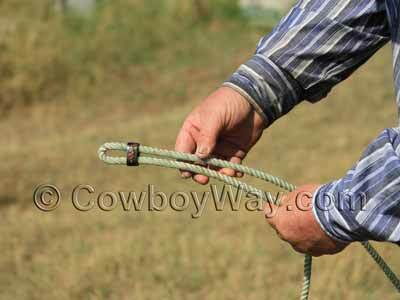 That's where the tail of the rope comes in handy; you can pull the tail to the side to loosen the horn knot from the saddle horn. 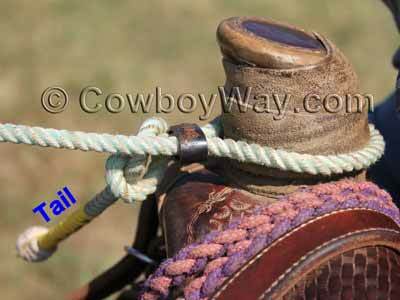 ......to help keep the horn knot from slipping off of the rope when it's not on your saddle horn. Just take the tail of the rope through the loop. A horn knot can be made of a variety of different materials such as metal, braided nylon or rawhide, plastic, and others. Below: A home made horn knot braided from nylon cord.